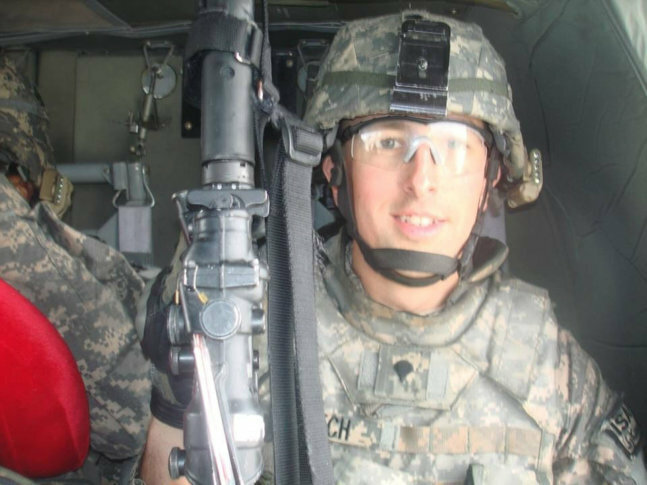 Carina Kutch's husband, an Army nurse, took his own life five years ago. When she comes to the area to run the Marine Corps Marathon, she'll visit his grave for the first time — and she has a message for anyone who thinks their families will be better off without them. WASHINGTON — When Carina Kutch, of Fort Collins, Colorado, joins thousands later this month to run the Marine Corps Marathon, she’ll also pay her first visit to her husband’s grave since he took his own life five years ago. Carina and her husband, Sgt. Richard Kutch, lived in Bethesda, Maryland, while he served at Walter Reed National Military Medical Center. Though he grew up in Fredericksburg, they met in Colorado. He eventually joined the Army to become a nurse, and served in Afghanistan as a combat medic before his deployment to Walter Reed. Carina said what he saw on those assignments would eventually overwhelm him. His wife blames post-traumatic stress disorder for his suicide, which happened in a wooded area in Virginia in early September 2013. It happened the weekend their son, Duke, was about to turn 1-year-old. Now that Duke is 6-years-old, the trip for the Oct. 28 marathon will provide an opportunity to explain why daddy isn’t home every day, Carina said. It’ll also be the first time she has been able to face up to her loss and visit her husband. A marathon isn’t easy, but life hasn’t been either. She hopes her grief can serve as an example to others. She wants to show those who have a similar story that it’s possible to get through such a tragic event. But she also wants those battling depression and PTSD to see her story and her struggles. “As a wife and a mother, my son is impacted every single day by the fact that his father isn’t here. He always asks me ‘Why isn’t Dad here?’ and I try to explain to him all the good stuff. I try to keep it in the positive.